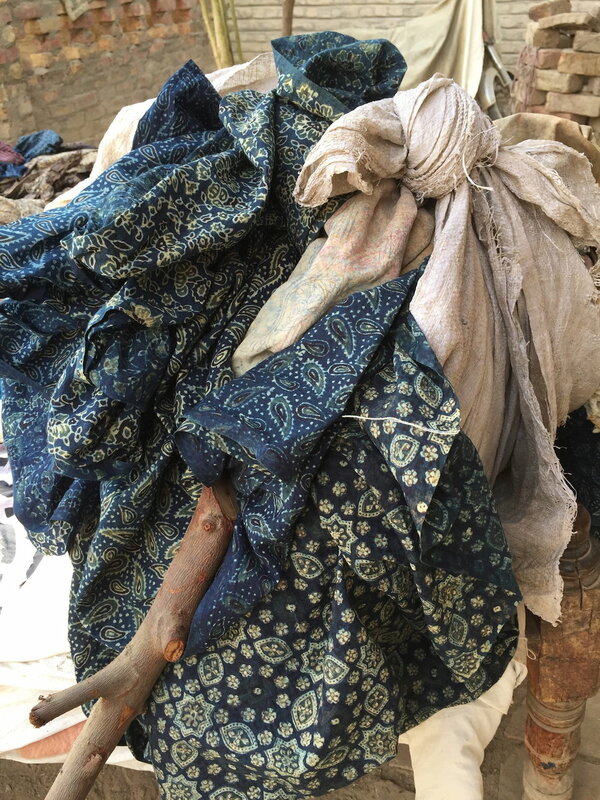 Our passion for Indigo dyeing led us to communities in Sindh, Pakistan where this tradition can be traced back to the ancient Indus civilization, more than 5000 years ago. Today, Indigo dyeing is still practiced along the banks of the River Indus. Our explorations started with traditional Ajrak textile patterning methods. Through observing, researching and photographing textile printing and dyeing processes and by talking to the ustads [master craftsmen], we realized that this knowledge is not recorded in manuals, but it is part of an oral tradition passed from one generation to the next through lived experience and the hand-to-hand transmission of skills. The Ajrak cloth is a Sindhi traditional textile with roots going back thousands of years. The use of an Ajrak is a cultural tradition for the people of Sindh. It celebrates all significant life events; this cloth is worn as a turban by men, a shawl (chaddar) by woman and spread out as bedding in homes. In the cultural realm, there is a close association in Sindh between Ajrak and Sufi shrines. The art of Ajrak making is a complex process involving 21 distinct stages and entailing the use of natural indigo and madder root dyes. Ajrak Cloth is skillfully hand block printed with mordants and resists and dyed in layers of crimson and deep indigo blue. Nature plays an important role in the making of Ajrak. The craftspeople work in total harmony with their environment, where the sun, river, animals, trees and mud are all part of the process of Ajrak making. The direct printing and resist-dyeing methods use materials that are indigenous to the region. For example, some of the natural plants and organic materials used to form the mud resist-paste for one of the stages include rice paste, alum, molasses, fuller`s earth, fennel seeds and natural gum. 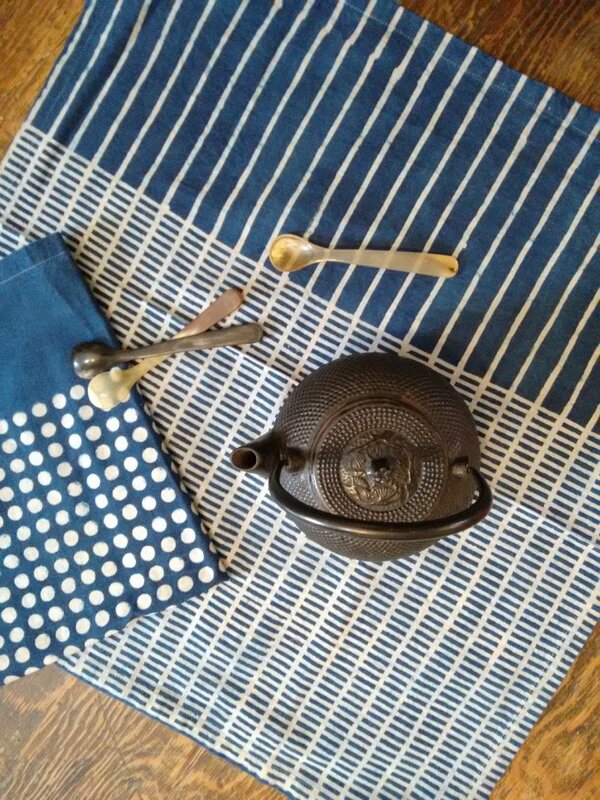 The treated cloth is dipped in an earthenware vat containing the indigo dye; when the cloth is lifted out of the dye vat, the blue colour appears as if by magic as the oxygen-starved indigo meets the air. 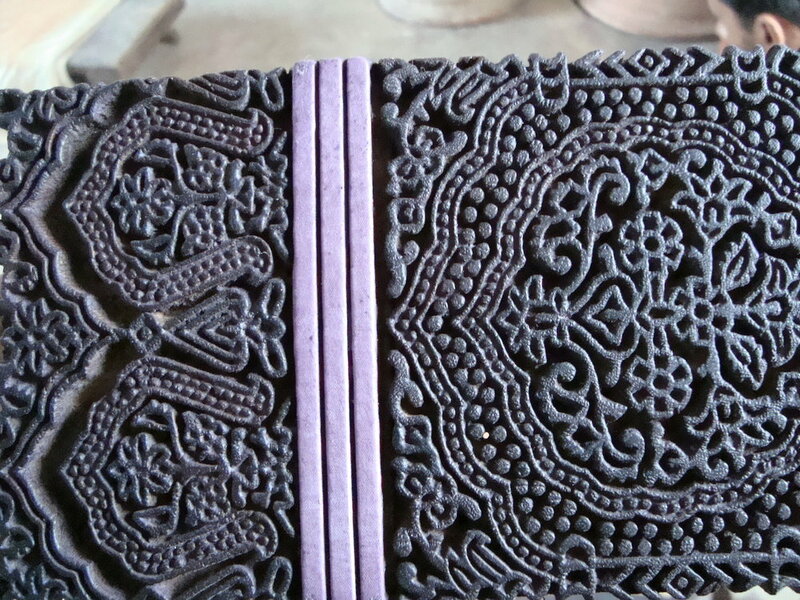 Printing blocks used for applying the mordants and resists are carved with great precision from the wood of Acacia Arabica trees. Traditionally, the designs are determined by a grid system and arranged with mathematical precision to build elaborate and dense overall patterns. In Sindh, Ajrak printing is a vanishing craft, as it is considered old-fashioned and rural, with dwindling interest from local and urban consumers. Over the last three years, Handwork Studio has been developing The SEWAN project, a design platform created in collaboration with the Ajrak printers in this region of Sindh as a response to the challenges they face in maintaining this aspect of their cultural heritage. As designers, we are interested in working within the slower cycles of craft production. 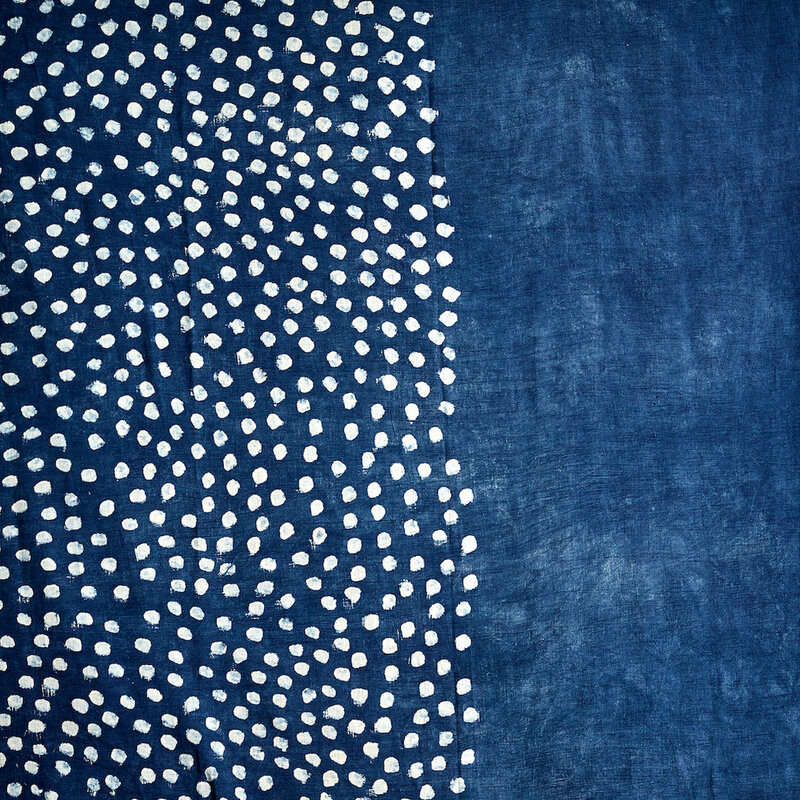 We saw the potential for introducing contemporary design approaches within this rich cultural practice, and felt that opening up new markets that were appreciative of the skill and technique involved in Ajrak printing could help the artisans to continue practicing and evolving their tradition with dignity. With a focus on contemporary designs using geometric blocks, the beauty of the rich indigo surfaces is allowed to balance the simple patterning. By using the patterning in new ways, we were able to develop textiles for garments, accessories and home wares, all with a focus on contemporary design partnered with high levels of workmanship, artistry and skill. While collaborating with this artisan community we planned our interaction to take place over the long-term. Our focus is on cultural preservation and the revival of traditional working practices that are socially and ecologically sustainable, while also introducing some more contemporary designs suitable for distant markets. These artisan communities are isolated and lack access to markets and resources. We have been able to foster creative empowerment and build knowledge of design skills, renew tools and suggest some simple, system level changes. This has provided an opportunity for much needed capacity building, allowing the artisan communities to evolve their skills and techniques, while building their businesses and increasing income from their textiles. It has given the artisans a renewed pride in the value of their work as well as an understanding of contemporary design. They have developed skills to communicate with other global partners, opening up new markets for their textiles. These interactions are shaping new transcultural alliances that are shared, long-term and sustainable. Follow Handwork studio here and here.